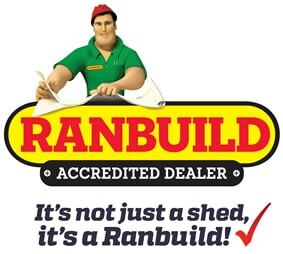 Sarwood is your number 1 stockist of landscaping logs. 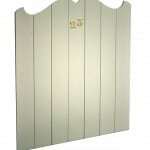 Treated pine log products are sourced from sustainably managed forest plantations.Natural, durable and cost effective. 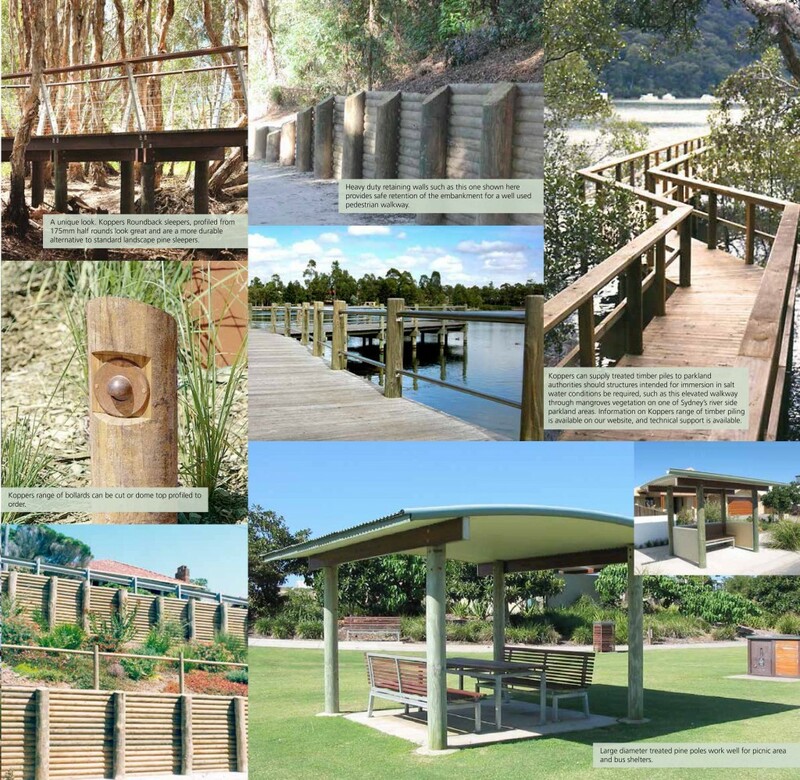 Landscaping log products are the ideal solution to a range of outdoor structural applications. 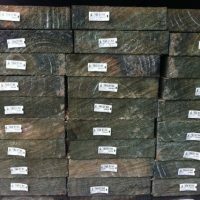 Cost effective with natural good looks make landscaping log products a versatile solution for many landscaping requirements. Landscaping log products blend beautifully with their environment and compliment the plants and trees that surround them. Landscaping log products are machined straight (perfect rounds) allowing them to be used easily and fitted precisely, making them ideal to use in a range of different construction methods. Landscaping log products are easy to work with, to cut and fit, particularly in difficult sites where minimising site damage and upheaval is a factor. The natural material and colour of the logs enhance the natural surrounding and vegetation, with the added benefit that the logs hold moisture, promoting plant growth and aesthetic appeal. 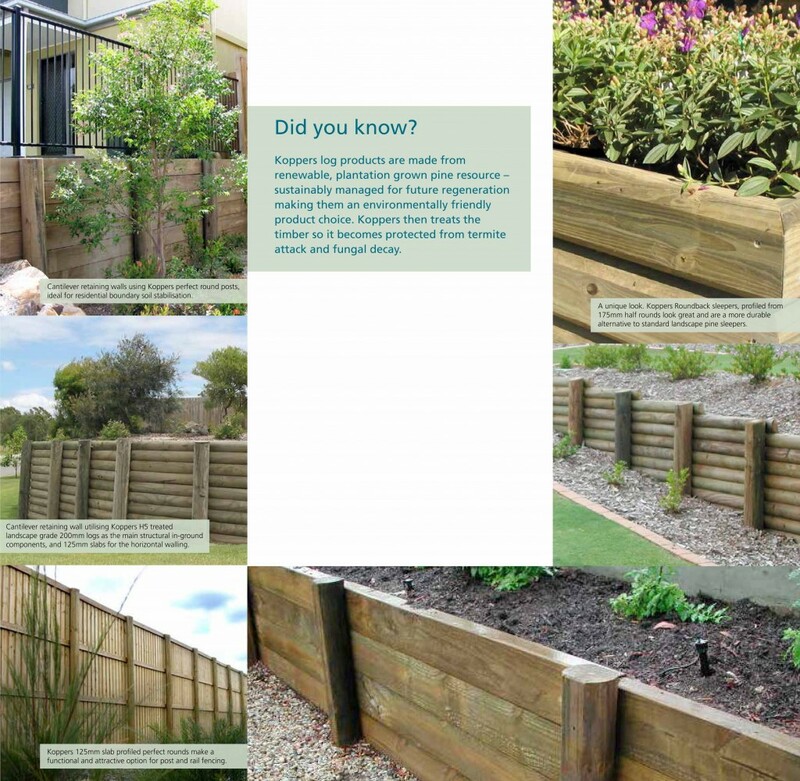 Landscaping log products have been used extensively throughout Australia to great effect in retaining walls for embankment and soil stabilisation, and can be configured in a number of styles such as cantilever style walls, crib lock, tieback or palisade walls. Your landscaping log stockist can help with construction details for a diverse range of projects, some of which are shown here. Landscaping log products can be specified and selected with confidence of their inbuilt durability and long lasting structural performance. 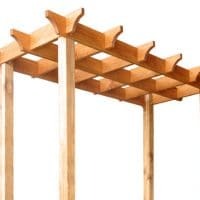 They can be used in many parkland and public space situations to create simple and natural looking landscaping and outdoor structural solutions to create unique and popular public spaces. 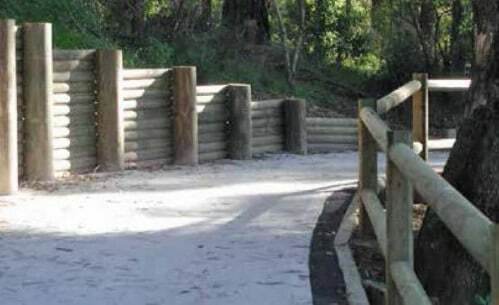 Landscaping log products have been used to great effect to reclaim public access areas where risk of erosion can otherwise render access unsafe, such as sloping ground where a cutting has been required in public landscapes. Bollards with a choice of profiling and barrier fencing can cost effectively be installed using landscaping log products. In all applications installation procedures are not complex and once installed the logs require minimal maintenance. 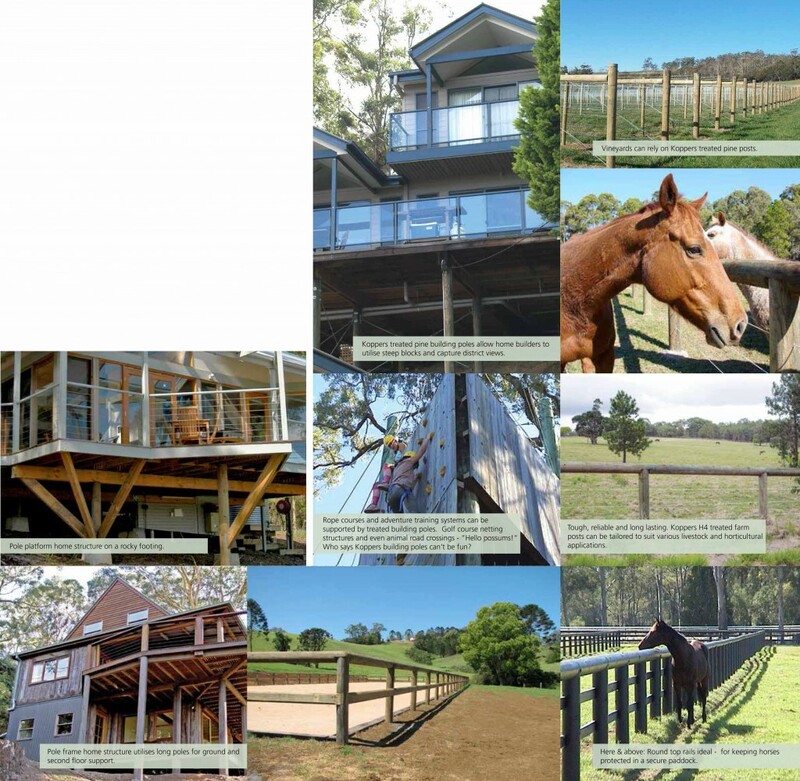 Koppers certified pine building poles provide excellent opportunities for designing unique structures which harmonise with bush land settings. They can be aesthetically and economically constructed in any areas where the natural vegetation is to be preserved. Offering exceptional resistance to prevailing winds and eliminating costly earth works, Koppers Building poles are a cost effective and flexible building alternative for unique building sites. 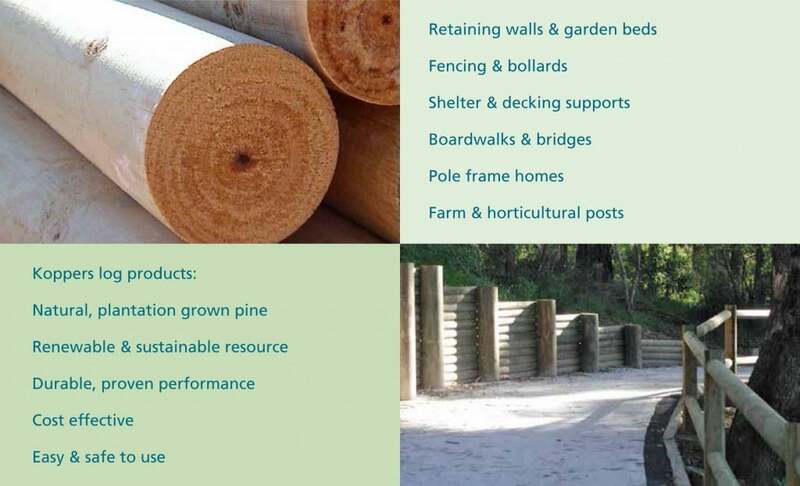 Koppers also supplies tapered peeled and cambio debarked treated pine posts – these are not precision machined logs, but peeled and/or debarked to provide the ideal finish, and product features suited to farm fencing, horticultural and viticultural (trellising) applications. In Tasmania, Koppers (tapered) logs are used extensively for farm fencing and as horticultural post supports. Koppers treated pine (cambio debarked) logs are also used for vineyard trellising and foundation ‘mini’ piles.